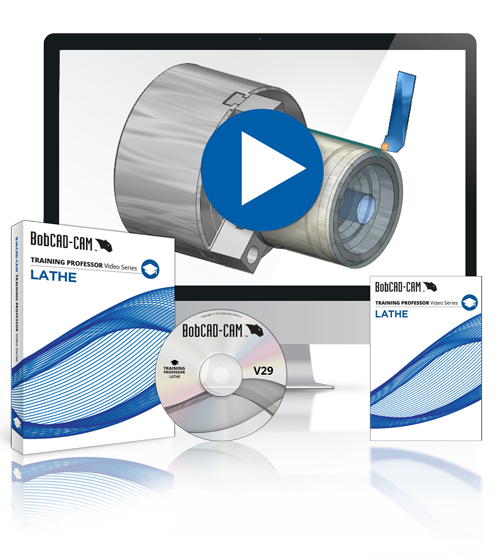 Start learning how to reduce programming times, improve surface finishes, and more with the latest BobCAD-CAM for Lathe training video set. This new Training Professor Video Series is an immersive experience unlike any other. First, you’ll learn the basics of programming – from defining your stock, to setting up your tools, and navigating the CAM Tree. Then you’ll learn about roughing, finishing, threading, grooving, boring, drilling, cut offs, and more. Whether you’re learning lathe programming for the first time or simply looking to sharpen your skills, this training set will equip you with the knowledge and confidence needed to machine better parts, faster and easier. Over 7 Hours of Video Training!